Ok – so I might be dating myself but who remembers this commercial? I must say that I do enjoy these individually wrapped (aka portion controlled) treats. I find them to be just the right size/portion to go with a cup of tea or coffee. Minimal loss this week – 1 avocado and 1 bell pepper. Again – surplus graciously and secretly donated by the sister unit. I wish she’d let us know when she dumps stuff off in our fridge. This is a classic case of “I thought I was helping”. (She’d rather pay the lower price for multiples knowing she can’t consume them before they go bad but she drops them off here literally 2 days before they turn towards the dark side) Ugh. Discovered that someone (dad or my sis) purchased nectarines this past week. Want to know how I found out? They were a liquidy mush at the bottom of the fruit drawer. Ick. I tossed 3 of them then cleaned up the mess. That makes me sad. I try to slice off the icky parts of fruits and freeze them to use in a smoothie later on. These nectarines didn’t even get a chance. RIP poor lil nectarines. Upon my travels at the Dollarama during the month of August, I stumbled upon these lil babies. I have seen these travel squeezy canisters for potions and lotions sell for anywhere between $10-$15 for a 2pk and $19.99 at Costco for a 4pk. 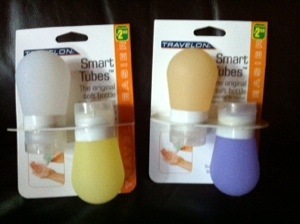 At $5 for 4 squeezy canisters, I was game to try. I hope that’s enough for the hubster, baby and myself. Of course we’re not going to decant everything we use but for some of the things we buy in bulk sizing, these will definitely come in handy! What’s your latest Dollar Store Find(s)? 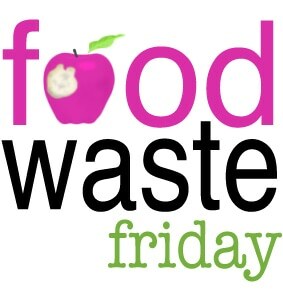 We have waste 😦 On Friday out went 1lb of blueberries and 1lb of strawberries, 1 crushed nectarine and 1 yellow bell pepper beyond saving. As usual, over shopping has been the culprit. I had popped out earlier this week and took dad with me then my sister came later in the end of the week taking him shopping again. Over purchasing produce is our main culprit however we do eat a high volume of it. So, how much is too much? I’ve tried having this conversation with my dad and he agrees but he’s the one going shopping twice in a week so he should be the one to realize what we have at home. Having said that, my sister tends to shop with my dad at the Asian markets (while I hit up the discount grocery stores) and shops the deals but then splits them with us. Example 4 for $5 – whatever produce item. She’ll take 1 or 2 depending on what it is then leave the rest here. I don’t know about it so I’m not conscious about eating it/using it up before it spoils. This week’s waste = none. Apparently someone bumped the temperature control dial at the top of the fridge while putting items on the top shelf and cranked the cold factor. A lot of the fresh fruits/veggies that were presliced have been slightly erm, frozen? Or super chilled so they’re well preserved. They’re tasty to eat and totally fine texture-wise once they thaw a bit LOL For now, I’ll count it as a no waste week here! 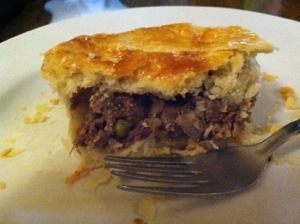 Do you enjoy beef pot pie? Got a recipe to share?